Wouldn’t it be great if they found another work written by C.S. Lewis? Well, great news . . . every once in a while they do! No, it isn’t a novel, or another adventure in Narnia. But it’s the next best thing for this holy season. A scholar recently recovered two essays written by Lewis in the 1940s, and one of them is about Christmas. In the current issue of Christianity Today, Stephanie Derrick describes her discovery of the articles at the National Library of Scotland in Edinburgh. The articles appeared in The Strand, through which Arthur Conan Doyle’s “Adventures of Sherlock Holmes” became famous. A favorite among the British upper classes, The Strand was widely read and earned a devoted following at home and abroad. Its high standing kept the magazine afloat during the Second World War when many others were forced to cease printing due to paper shortages. Both of Lewis’ contributions appeared shortly after the war. One is written about the game cricket, for which Lewis used his pseudonym Clive Hamilton. The other piece is the one of far greater interest to Christians. Most students of Lewis are familiar with his critique of the secular celebration of “Exmas.” I have also written here at Mere Inkling about other Lewis ties to the Nativity of Christ. “Echoes of Christmas” and “Christmas Interruptions” appeared the past two years. Rubble, dust, broken bottles, old bedsteads and stray cats are very different from grass, thyme, clover, buttercups and a lark singing overhead. Lewis proceeds, of course, to offer the hope of the world, Emmanuel, whose incarnation we celebrate on Christmas. Brent Dickieson offers his own worthwhile insights into the recent discovery in his current post. It is well worth reading, and includes the cover of the issue of The Strand that included Lewis’ Christmas sermon. We children of alcoholics often have a difficult time determining the proper place for alcohol in our lives. Because we’ve seen the damage its abuse can cause, some are tempted to condemn it all together. At the same time, like the abused child who is likelier to grow up becoming an abuser himself, as a group we are vulnerable to misusing alcohol ourselves. The church’s attitude towards “drink” does not always help. Many denominations overlook the fact that it is drunkenness that the Scriptures condemn, and extend the prohibition to all drink that contains alcohol. They are like the exegete who transforms the warning about the “love of money” being the root of sin into a rejection of all mediums of exchange beyond barter itself. * They overlook the attitude towards the object, and make the object itself the objectionable thing. Thus, money becomes the problem. In the case of alcohol, it is no longer inappropriate or damaging use that is condemned, it is the drinking of anything containing alcohol that is reasoned to be sinful. Moving the bar in this fashion is simple legalism. But this column isn’t about legalism. I don’t have an axe to grind. And, as the saying goes, some of my best friends (and family members) abstain from all drink. Similarly, I rarely drink myself. My point is not that wariness about alcohol’s dangers may be wise, but pushing God’s cautions to the degree where we call sin that which is not, is wrong in and of itself. The solution does not come in the form of devising a pasteurization process so we can improve on the first eighteen centuries of Christian worship and now enjoy “Dr. Welch’s Unfermented Wine” for holy communion. Neither prohibiting what God has deemed lawful, nor uncritically embracing secular festivities is the right course. The proper solution to the question of how drinking can or should fit into our lives is found by looking at the Scriptures themselves. The Scriptures could not be clearer on the use of alcohol. Unless God has directed an individual to a particular course (or vow) in their personal life, the general rule is this: in moderation, treated as a beverage without the goal of intoxication, drinks containing alcohol are okay. I know that some churches teach otherwise, but from the Bible itself it is clear that merely drinking a glass of wine or beer is not a sin. It is drinking to excess, that is sinful. C.S. Lewis provides an extremely clear explanation of this distinction in Mere Christianity. He explains how the principle of temperance is applicable to many aspects of our lives. Temperance is, unfortunately, one of those words that has changed its meaning. It now usually means teetotalism. But in the days when the second Cardinal virtue was christened ‘Temperance,’ it meant nothing of the sort. Temperance referred not specially to drink, but to all pleasures; and it meant not abstaining, but going the right length and no further. It is a mistake to think that Christians ought all to be teetotallers; Mohammedanism, not Christianity, is the teetotal religion. Of course it may be the duty of a particular Christian, or of any Christian, at a particular time, to abstain from strong drink, either because he is the sort of man who cannot drink at all without drinking too much, or because he is with people who are inclined to drunkenness and must not encourage them by drinking himself. But the whole point is that he is abstaining, for a good reason, from something which he does not condemn and which he likes to see other people enjoying. That is not the Christian way. One great piece of mischief has been done by the modern restriction of the word Temperance to the question of drink. It helps people to forget that you can be just as intemperate about lots of other things. A man who makes his golf or his motor-bicycle the centre of his life, or a woman who devotes all her thoughts to clothes or bridge or her dog, is being just as ‘intemperate’ as someone who gets drunk every evening. Of course, it does not show on the outside so easily: bridge-mania or golf-mania do not make you fall down in the middle of the road. But God is not deceived by externals. If he were alive today, Lewis could easily add sports-mania and social media-mania to his list of excesses that voraciously consume a person. The fact that C.S. Lewis could enjoy a pint of beer with his friends becomes a stumbling block to some who would otherwise benefit from reading his work. Likewise, some readers of Mere Inkling may consider this post an endorsement of drinking. That could not be farther from the truth. We children of alcoholics are acutely aware of the pain and chaos caused by its abuse. On the contrary, these words are written to caution my brothers and sisters in Christ about a potentially more destructive sin, legalism. Fortunately, the simple solution to both problems is an unfiltered, honest reading of God’s word. ** “It is good not to eat meat or drink wine or do anything that causes your brother to stumble” (Romans 14:21). This week I read one of the clearest descriptions of the gospel I have ever heard. It appeared in an article written by the most (how do I put this mildly?) daunting professor I have encountered in my Doctor of Ministry studies. “Intimidating” would also work . . . But his brilliance and rapid fire delivery of thought-provoking concepts is not the reason for me mentioning him here. It is his ability to cut through the confusion, and express simply the essence of the good news, the Christian hope, the gospel. I’m not pandering to him, mind you, because my grade for his systematics course was filed long ago. It is simply that Joel Biermann said extremely succinctly, something that I have always attempted to emphasize in my own ministry. The Gospel is the good news, but it is not just any good news. The Gospel is a word of liberation and encouragement, but it is not just any word of liberation and encouragement. The Gospel is a wonderful event and a joyful experience, but it is not just any wonderful event and joyful experience. In other words, when it comes to defining the Gospel, it is vitally important that we move past vague ideas or general notions and grab hold of the central thing. The central thing is Jesus. This is a truth too many fail to understand. Sadly, this is true for some “inside” the Church as well as outside of its doors. Goodness is good. Generosity is wonderful. Encouragement is precious. Courage is noble. Love is (almost) divine. Yet none of these are the Gospel. 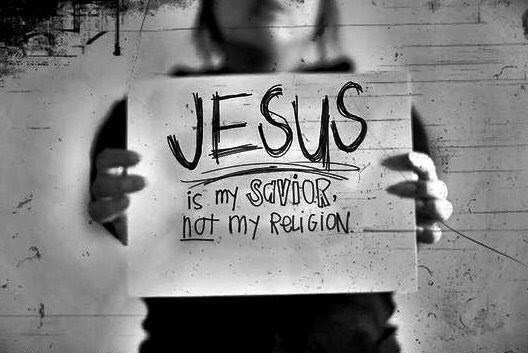 The Gospel is Jesus. In him the world discovers every good thing from the hand of God the Father, our Creator. Jesus is indispensable. Without his holy name, the “faith” would simply be a praiseworthy “religion.” Without Jesus, it could instruct how to live, but it could not redeem. But Peter and the apostles answered, “We must obey God rather than men. The God of our fathers raised Jesus, whom you killed by hanging him on a tree. God exalted him at his right hand as Leader and Savior, to give repentance to Israel and forgiveness of sins. And we are witnesses to these things, and so is the Holy Spirit, whom God has given to those who obey him.” (Acts of the Apostles, chapter five). C.S. 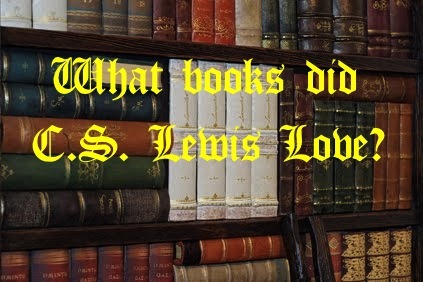 Lewis knew quite well that Christianity is all about Jesus. Without him, the person Jesus the Christ, whatever passes for the “Church” would merely be a noisy gong. Lots of “religious” talk would remain . . . but the Gospel would be absent. “Come to Me everyone who is carrying a heavy load, I will set that right. Your sins, all of them, are wiped out, I can do that. I am Re-birth, I am Life.” (1950 essay, “What Are We to Make of Jesus Christ?”). In the same way as the apostles, C.S. Lewis, my seminary professor, and all of those who have entrusted themselves to the grace of God in Christ, know the name of Jesus is not optional. 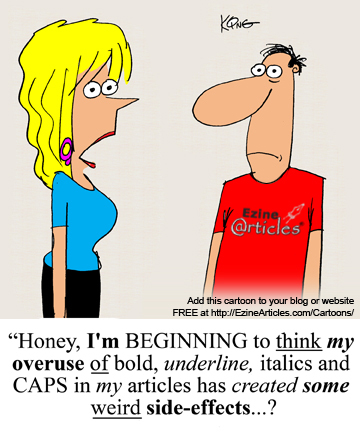 In fact, it is all about the name. For it is Jesus, and him alone, who is the alpha, omega and the whole of the Gospel.